If you’ve watched Oprah or seen Bob Greene or Dr Oz lately on television then you already know it’s not just about reducing calories or aimlessly exercising…. it’s about making lifestyle changes through nutrition and focused exercise personalized to your individual needs and preferences! Moms give, give, give to everyone else. Quietly promising that someday there will be time for her, well… “someday” has arrived! Busy Moms deserve this exclusive gift towards extraordinary health and fitness. After all, don’t we all want to live longer, improve our health, become stronger & have lots of fun? Personal Training in Marin delivers unparalleled practical, personalized nutritional and fitness coaching. Treat yourself or your favorite “Mom” to an exclusive, customized 4 week small-group experience with Personal Training in Marin. PTIM, who has helped hundreds of Marin residents get their bodies back, is offering a complete 4 week small-group experience particularly designed for the busy, hard-working mom who deserves some special T.L.C. Enjoy a personalized fitness program that works for you, with an in-depth nutritional assessment created around your specific health and fitness history. ACSM’s health and fitness specialist, John Spongberg will provide a one-on-one or small group (as preferred) jaw-dropping grocery shopping educational experience. Learn food industry misconceptions; focus in on the best choices for you & your family. Nutritional coaching & education includes: Individual diet suggestions & recommendations specific to your lifestyle and preferences. Special body treatment therapy included for each participant. Best voted overall improved participant in this intimate small group experience will win a FREE one month membership at 5 Star Fitness! Upon completion of your 4 weeks of personalized training and education; celebrate with us with an exquisite culinary treat. Our delicious dining exploration will confirm you can eat healthy, scrumptious food every day while achieving or maintaining your perfect weight. This value-packed opportunity is limited to 8. 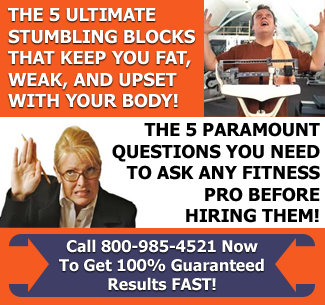 Personal Training in Marin guarantees results! All we ask is that you are as serious as we are in achieving your goals. Unique small group training is 1-2 pm every Wednesday beginning May 11th continuing through June 1st with our special dining treat the following Wednesday, June 8th at 1pm. Success stories begin by taking action. We want you to be our next amazing success story; don’t put off what you ultimately deserve! 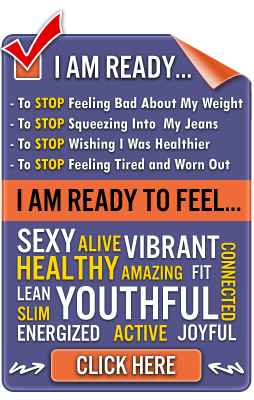 Take control of your health and fitness and earn the body you’ve always desired. For only $487.00 you will receive outstanding value! Call (415) 385-7480 right now to ensure you’re 1 of the 8 to participate! Register with a friend to gain even more fun support.